BASKETBALL SPOTLIGHT NEWS: Basketball Spotlight MDC 6th Grade Championship Recap: NYC Gauchos Grabs The Title! 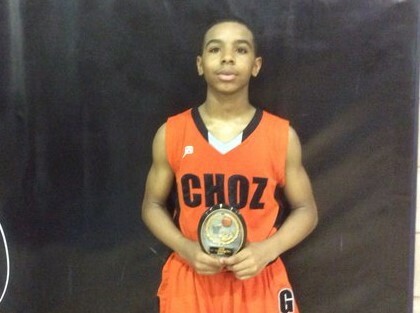 Basketball Spotlight MDC 6th Grade Championship Recap: NYC Gauchos Grabs The Title! 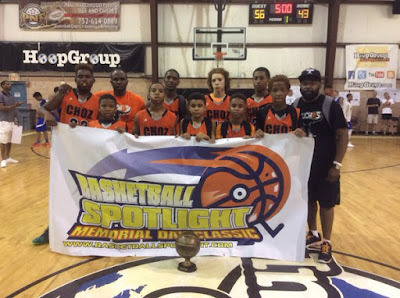 The NYC Gauchos held off a pesky NJ Shore Shots squad 56-43 to win the Basketball Spotlight MDC 6th Grade Championship. Both teams fought hard and beat some good teams to make it to the finals and deserve praise. Mr. Memorial Day: Tyler Hawkins Hawkins has a new uniform but produced the same results. Once again he showed the ability to take over the game when needed. He scored at will when he got into the lane and in transition. He stepped up big.